Manage your purchase bills and pay vendors on time. 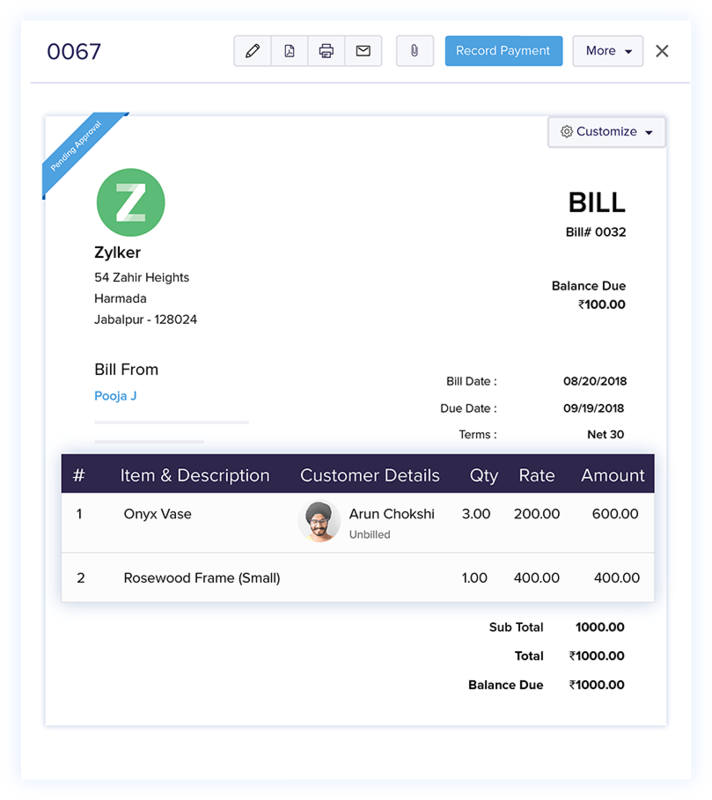 Create, send, and manage bills online with Zoho Books. 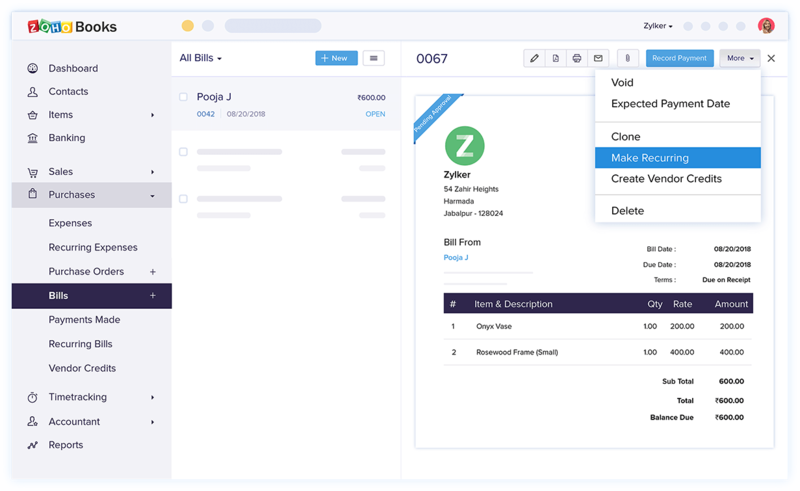 Create an open bill for your purchases and watch Zoho Books automatically adjust your stock level when the goods have been received. No more creating bills one at a time. Create recurring bills for purchases that happen at regular intervals, and let Zoho Books send them for you. Zoho Books lets you add landed costs to your bills so you can calculate the full cost of your items and decide on the right selling price. 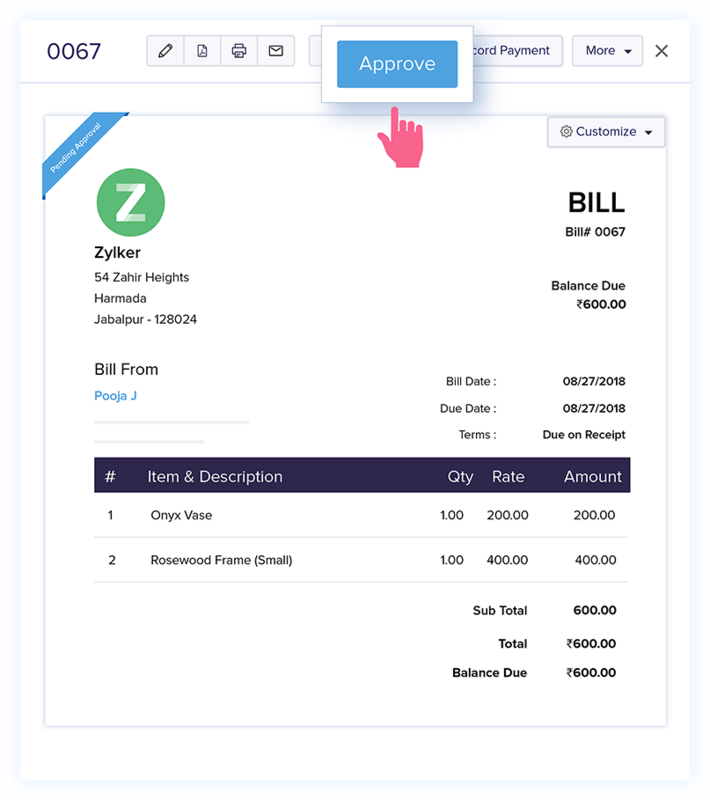 Enable transaction approval and verify bills before they reflect in your accounts. Increase the accuracy of your accounting and eliminate the risk of processing incorrect transactions. Associate line items from your vendor bills with the customers for whom they were purchased. 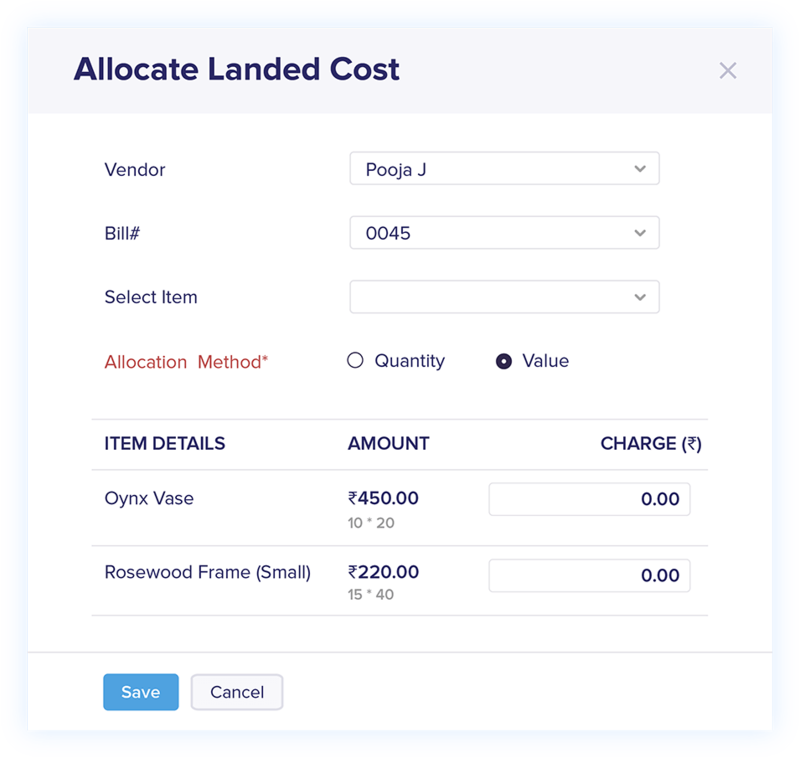 When you create a customer invoice, any billable line items you associated with the customer will be available to add. 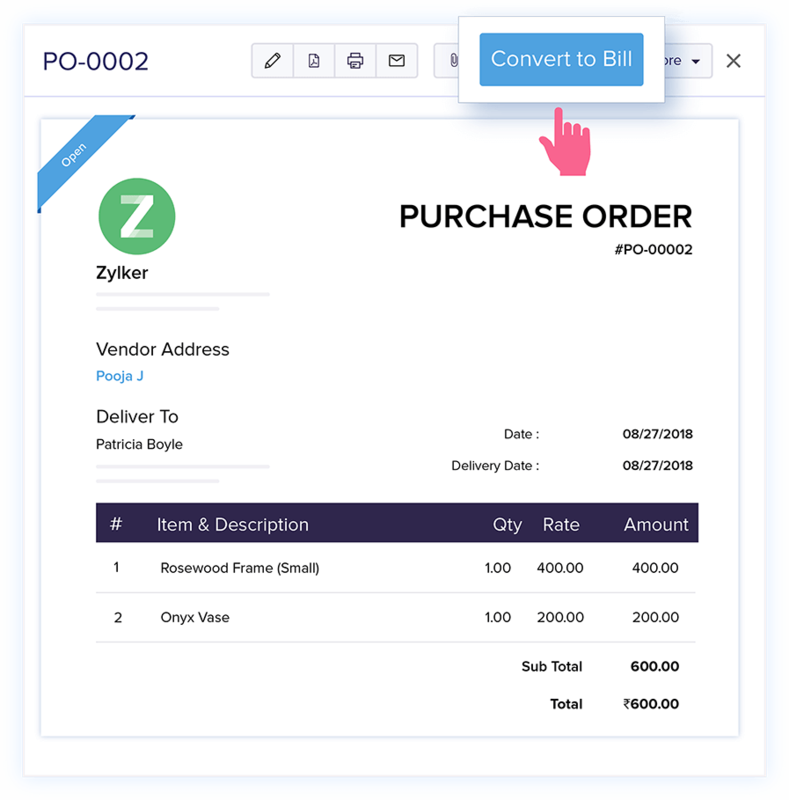 Once a purchase order is finalized, you can instantly create a bill at the click of a button. Zoho Books makes billing simple. Returning items to your vendor? 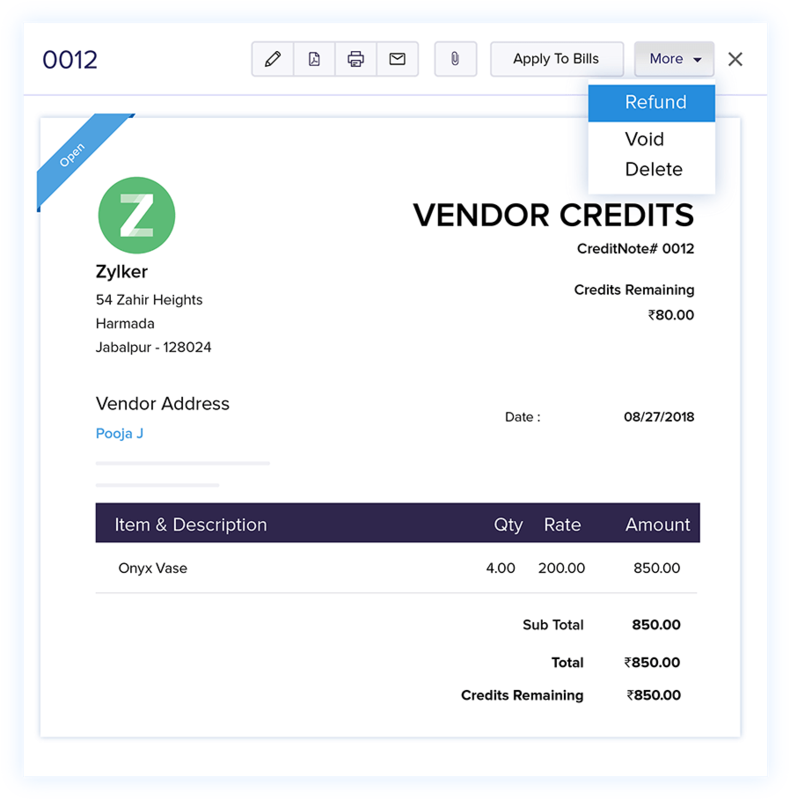 Record vendor credits in Zoho Books to keep track of them until you can use them on a bill or receive your refund. Accounting software that makes online billing easy.